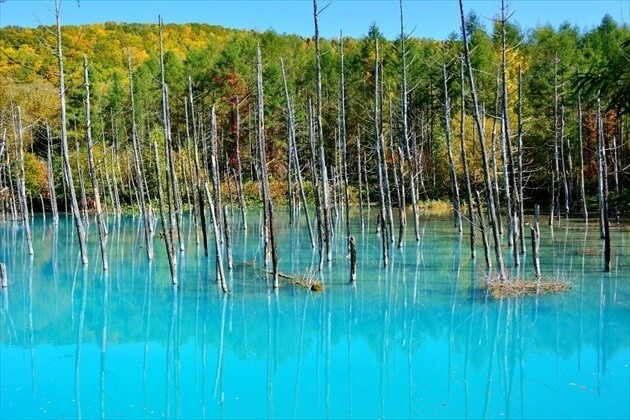 Blue Pond is a man-made pond feature in Biei, Hokkaido, Japan. 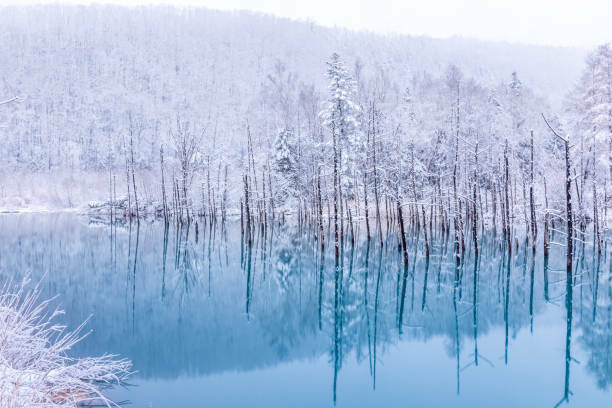 It is the result of works on the Biei River, carried out after the 1988 eruption of Mount Tokachi, to protect the town of Biei from volcanic mudflows. The colour is thought to result from the accidental presence of colloidal aluminium hydroxide in the water. Damage caused by Typhoon Mindulle in August 2016 resulted in a temporary drop in the water level and in the colour briefly turning brown with mud and sand from the Biei River.